It also features a carefully designed blend of two custom full-range drivers and a two-channel class D amplifier, all controlled with state-of-the-art digital signal processing that was born in the recording studio. Translated from the tech: these small, powered speakers produce big, clear sound from highly tested, recording studio-grade engineering with support for high resolution audio. Install the free HEOS app on as many phones and tablets as you like. 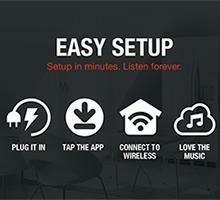 Control the music via Wi-Fi or Bluetooth in every room from any device. Group two or more rooms together to play the same song perfectly synchronized in party mode. Play a different song in every room when everyone wants to dance to their own tune. 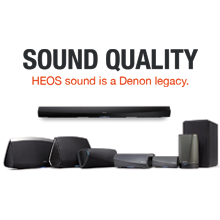 With HEOS, you have all the options you need and all the access you want. 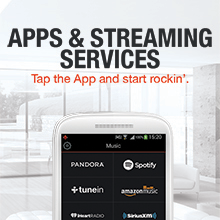 Stream from your favorite music service such as Spotify, Pandora, TuneIn, Amazon Music, iHeart Radio, SiriusXM, SoundCloud, TIDAL or Rhapsody. Plus, listen to tracks directly from your phone, tablet or USB drive. Free HEOS app for iOS, Android or Kindle Fire devices. Step 1: Plug in HEOS. Step 2: Get the free HEOS app. Step 3: Connect to your network. Step 4: Love the music. This large speaker is top of the line, for those who demand the best, biggest, loudest. 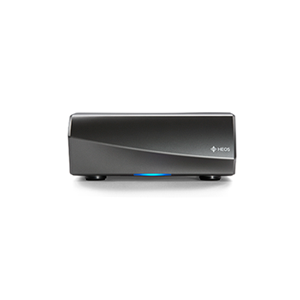 It plays cloud music, music stored on your phone or tablet, plus USB and NAS sources, utilizing Wi-Fi networks or Bluetooth to stream on the HEOS wireless multi-room sound system. Plus with High Resolution Audio Support you'll experience the ultimate listening experience. Sounds like a party already, doesn’t it? 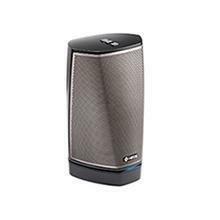 This beautifully styled middle sized speaker plays cloud music, music stored on your phone or tablet, plus USB and NAS sources, too, utilizing Wi-Fi networks or Bluetooth to stream on the HEOS wireless multi-room sound system. Another benefit, High Resolution Audio Support, which means you'll enjoy the ultimate listening experience. Be greedy, you’re covered. 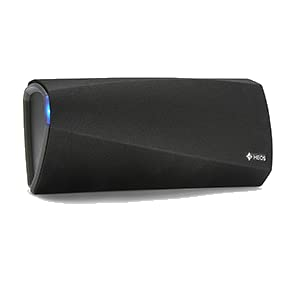 Compact but full-featured speaker plays cloud music, music stored on your phone or tablet, plus USB and NAS sources. With Bluetooth built-in you have the choice of utilizing Wi-Fi networks or Bluetooth to stream music on the HEOS wireless multi-room sound system and High Resolution Audio Support will deliver the ultimate listening experience all in the convenience of your home. Meaning you have options! 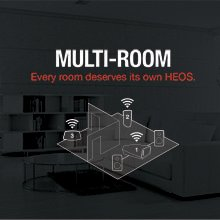 The compact enclosure features humidity resistance, making the HEOS 1 the ideal wireless portable speaker for listening in damp or steamy environments, such as the bathroom with the choice to utilize Wi-Fi networks or Bluetooth for audio streaming on the HEOS wireless multi-room sound system. It also plays High Resolution Music delivering the ultimate listening experience over network or USB all in the convenience of your home. The Lithium-ion rechargeable battery pack attaches to the HEOS 1 base, with easy twist-on/twist-off attachment. The HEOS Amp is designed to add HEOS multi-room audio functionality, with high resolution audio support, to a pair of stereo speakers and features the same wireless ease of use as our self-powered HEOS speaker models. 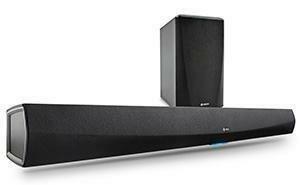 Plus with Bluetooth built-in you have the choice of utilizing Wi-Fi networks or Bluetooth to stream music on the HEOS wireless multi-room sound system. 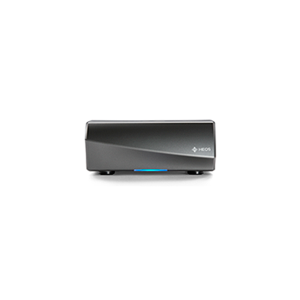 The HEOS Link is part of the HEOS wireless multi-room sound system that enables you to enjoy your favorite music anywhere and everywhere around your home with high resolution audio support. 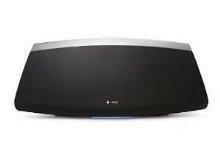 Utilize Wi-Fi networks or Bluetooth to stream music on the HEOS wireless multi-room sound system.